This post started a new category (Tag) "Cars on the Street". While driving in North Philadelphia I caught a glimpse of this car. Was that a Morris? I drove around the block to take this quick snap. It was indeed a Morris Minor Series II. These cars were produced between 1952-1956 in England. 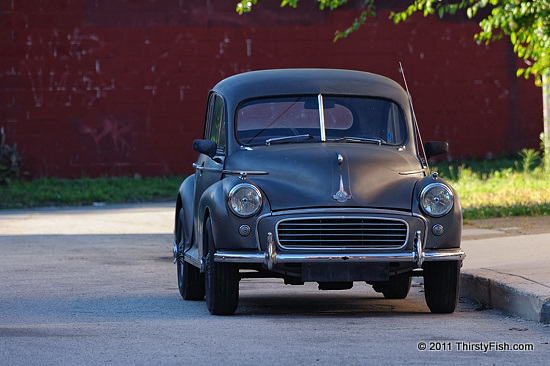 Although very uncommon in the United States, Morris are not exactly rare. At about 55 years, it is also not very old. But, generally speaking, why are old and rare things interesting to most of us?